The Atlanta Braves changed their minds, and all I can say is whew. Had they not, I’d have felt compelled to weigh in on this mess, despite the deafening roar of readers not clamoring for my opinion. I’d have had to write about how the South’s racial history isn’t a binary of black and white, and how so much of Southern culture was shaped by the colonial Indian wars, some of which still raged well within the living memories of those who lived through the Civil War. 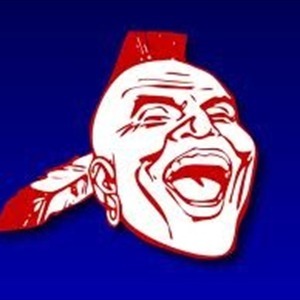 Then, though, I’d have had to mention that the team name “Braves” originated not in Atlanta, of course, but in Boston, and survived the move to Milwaukee, and that the “screaming Indian” logo came south with the team from Northern climes. That most likely would have led me to tell the story of how some men in the Eastern Band of the Cherokee Nation, still living in the Qualla Boundary in the mountains of North Carolina (not too far from Atlanta, in fact), made good money in the 20th century by dressing as “chiefs” and posing with tourists. They only made good money, though, after changing their wardrobe from authentic traditional Cherokee garb to something closer to what you’d have found on a Plains Indian, but closer still to what you can see on the extras in a classic Western movie. After telling that story, I’d almost certainly feel like I ought to make some pithy summation about authenticity and preconceptions and the distortions of history and, since I’d have already brought up Westerns, how legends become facts and we print the legends. But thank goodness the Braves changed their minds about those ball caps, so I don’t have to do any of that. I love this blog post. Funny and smart, my favorite combo. As a Southern woman, I’m feeling particularly well championed since the advent of Dixie Babble–in a good way–and I haven’t wanted to smack the writer over the head with anything yet. That’s some kind of record. The Atlanta Traffic? The Atlanta Fenderbenders? The Atlanta Congestion?